Specifically designed to maximise and safeguard fuel, our range of identification devices are used in conjunction with the fuel management system to ensure that both the access of fuel and the monitoring of fuel is easy, efficient and reliable. 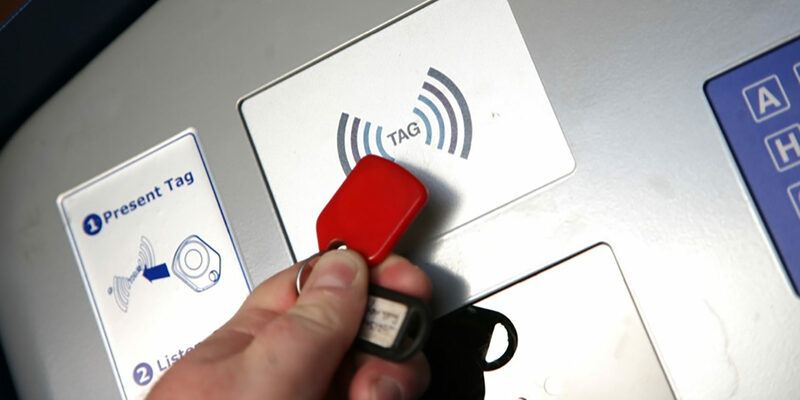 An entry-level system, the tag is an easy to use contactless system that ensures that the fuelling process is straightforward. Using manual keypad data entry, RFID tags use contactless technology to activate the pump. The fueller then enters mileage and/or data as requested, which is then added to the time, date and quantity of fuel delivered for an accurate record of fuelling transactions. Reporting capabilities are delivered via Triscan’s unique software and stock reports can be created in a number of flexible formats which can be set by the operator. As with all Triscan products, tags are manufactured to recognised quality standards including ISO9002. It also meets generic EMC approvals 89/336/EEC (CE) and automotive EMC type approvals 95/54/EC (E). © Triscan Group Limited. All Rights Reserved.